✔ IP65 WATERPROOF: Aluminum shell and glass lens cover structure with IP65 waterproof rated, perfect for outdoor landscape lighting in different weather conditions. 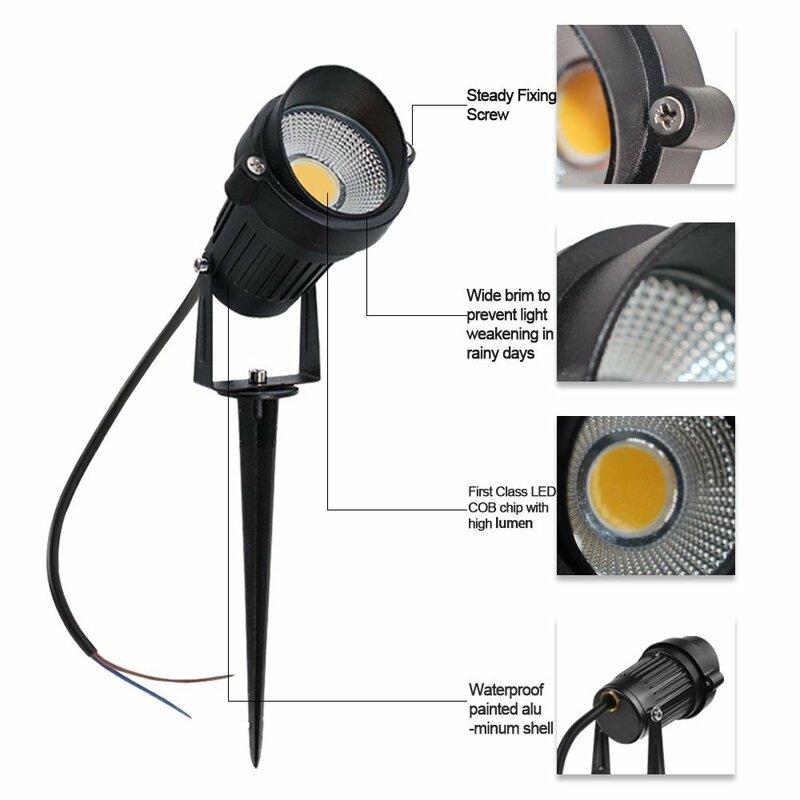 Greatly improves the stability of outdoor lighting and long-term use. ✔ WIDE APPLICATION :90°Beam Angle, 270 degree adjustable head offers best lights for walls, trees, flags &fences; allows you to fully control and aim the light where you want. Widely used for garden,yard, patio,path,pathway,driveway and outdoor decoration. ✔ EASY INSTALLATION: Each light comes with a round fixed base & light spike, you may fix it with screws anywhere you want, or insert the light spike into the earth/lawn. ✔ REPLACEMENT WARRANTY: High quality with 2 years warranty, our customer support team always stand behind our products in any way, please contact us asap if you have any problems. IP65 Waterproof withstand the landscape for stable outdoor use against rain, snow, and humidity. Long, durable stake secures lawn light firmly into the ground. Rotatable joint and adjustable head provides perfect spot and ideal shining angle. Beautiful and excellent design looks great in the yard, day or night. • Please supply the lamp with proper input voltage that is AC/DC 12V to ensure reliable operation. • Low voltage transformer is required for installation. • If you are not satisfied with our product,feel free to contact us and we will solve your problem in 24 hours.